Enter LuxeWash at Redbank Plains and the first thing you’ll notice is an immaculately clean and well kept facility. If you attend the car wash during the hours between 8am and 4pm you can expect to be greeted by our staff in a friendly and professional manner. We’d love to assist you in the washing of your car. Need to know how to use the automatic car wash or the dog wash bay? No problems – we’re here to help. Never used an Automatic Car Wash before? Check out our Frequently Asked Questions. 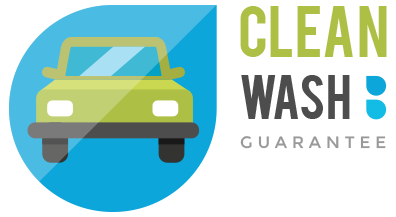 Remember our Clean Wash Guarantee! LuxeWash offers customers the opportunity to clean their car without leaving their vehicle in our touch free automatic wash. Have the security of mind knowing the only thing that touches your car are water and products. All done in a fraction of the time you’d spend washing your car at home. For those customers who prefer washing their own vehicle, LuxeWash provides five self service wash bays to soap, brush and spray the exterior of your car. Getting that new car look is easy! Use one of our four vacuums to ensure you car looks just as good on the inside as the outside. So much easier than trying to vacuum your car at home! Our Dog Wash Bath has a special showerhead for you to direct the warm water and shampoo all over your pet. Work your way around each of the functions in order to have a squeaky clean Pooch! Our Dog Wash finishes with an optional Blow Dry. Your Pet will love you, and you will love your pet even more! At LuxeWash we have a large range of products to help clean your car. Choose from a range of interior car scents as well to prolong that new car feel…. Will there be vehicles you can’t wash?